The article is devoted to the process of extraction of oil from rapeseed and sunflower seeds and meal by an extraction method based on the study of the kinetic regularities of the process. The results of the research on extraction of oil from rapeseeds, sunflower seeds, showed that the oil extraction process from the non-minced seed passes very slowly through the intra-diffusion mechanism because of the low oil permeability through the surface and cellular shells. Also the results of studying on the oil extraction from minced rapeseeds and false flax with methylene chloride and sunflower seeds with n-hexane have been presented. The influence of the oil residue from rapeseeds in the meal after the pressing process on the economic efficiency was determined. The losses of the rapeseed oil with oil content 39.73% and rapeseed meal with oil content 31.9% were compared. Experiments were carried out in the Soxhlet apparatus at the boiling point, and methylene chloride was used as an extractant. It has been researched that the oil extraction process from the meal in the initial stage is more intense in comparison to the minced seeds dav = 1.5 mm, and the removal of 97% of the oil is achieved within an hour. A combined method with using of the sunflower oil extraction method from the meal, which makes it possible to increase the amount of oil obtained by reducing the losses of oil with meal, is proposed. The implementation of the combined method in the industrial can be achieved by using of the ideal mixing device in conditions of continuous process in the technological scheme. The use of such equipment makes it possible to provide a high degree of removal of the target component due to the appropriate number of extraction steps. The confirmation of the sunflower oil extraction process efficiency from the meal on the experimental plant in a two-stage extraction scheme has been carried out by determining the degree of removal of the target component, which was equal to 96%. The kinetic dependences of the oil extraction process from sunflower seeds on different ratios of solid and liquid phases are presented, on the basis of which the kinetic coefficient μ = 0.038 has been determined. 1. Супіханов Б. К. Розвиток ринків аграрної продукції: моногр. 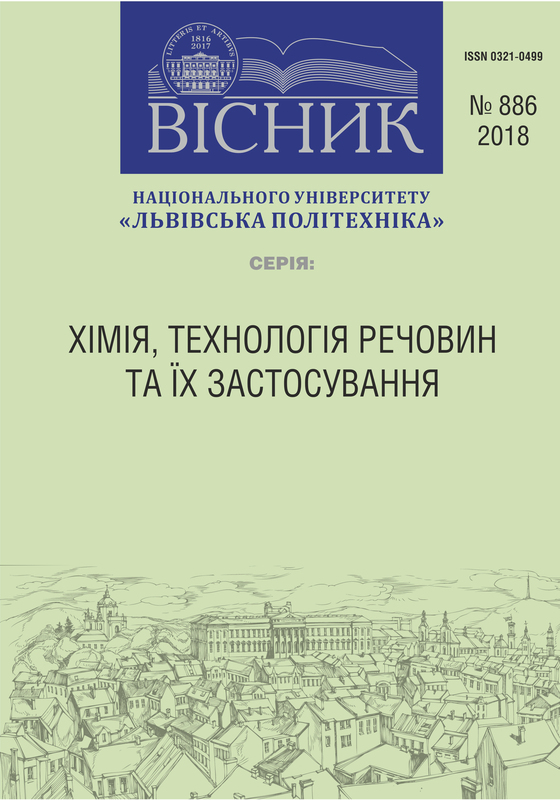 – К.: ННЦ ІАЕ, 2009. – 519 с.
Восточно-Европейский журнал передовых технологий. – 2014. – 6/6 (72) – С. 13–18. компонентів з насіння амаранту: автореф. дис... канд. техн. наук: 05.17.08. – Львів, 2008. – 19 с.
політехніка” “Хімія, технологія речовин та їх застосування”. – Вип. 812. – 2015. – С. 349–353. застосування”. – 2014. – № 787. – С. 331–336.